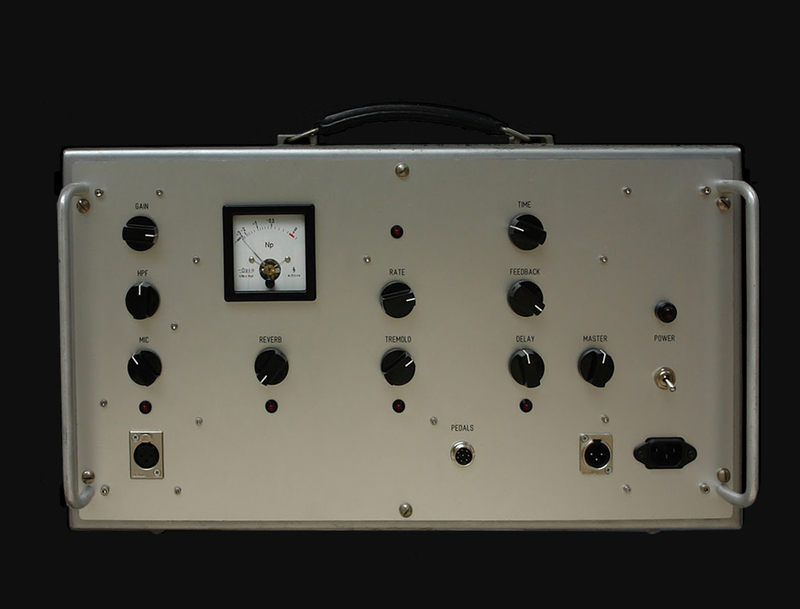 Gemma Ray’s Gamma Ray Vocal Preamplifier is one of my favorite projects to date. 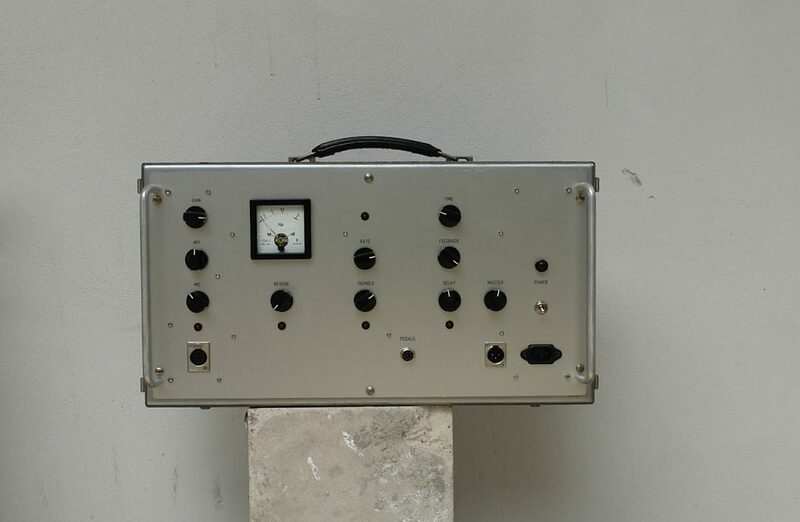 The idea was to build a device that Gemma could use on stage to not only enhance but to effect the vocal signal live. 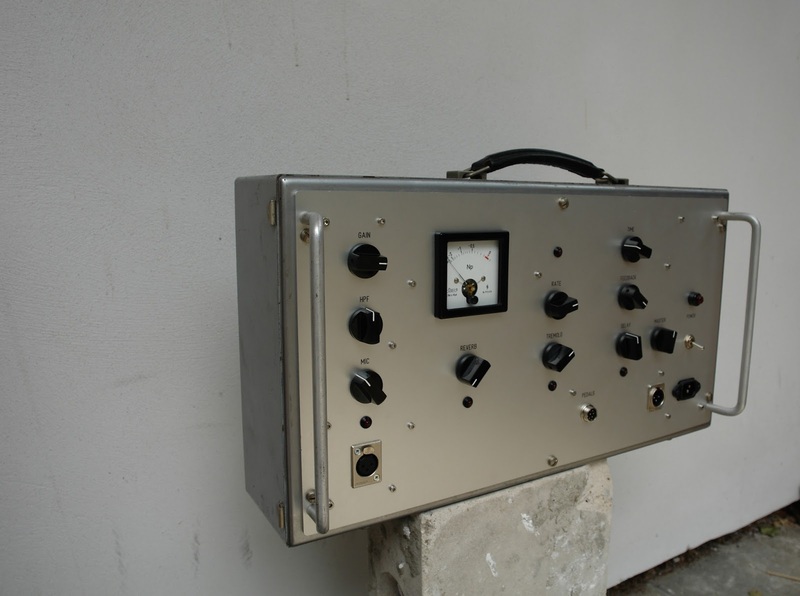 Therefore, we decided on a spring reverb, tremolo, and a delay built in parallel to the preamplifier. These can all be turned off and on with an external foot switcher box. All four signals are mixed together and and sent through a balanced output to the front of house mixing desk. As the original Siemens test equipment used a plethora of EF95 and EF94 tubes, I decided to stick with these as the base for the circuitry. The EF95 makes for an excellent triode and the EF94 in pentode mode delivers enough current to drive the spring reverb. 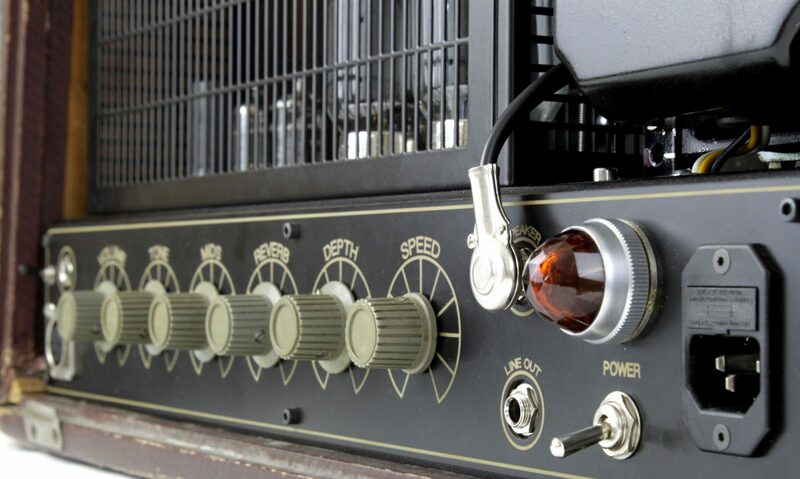 The microphone preamplifier consists of a two stage circuit with a gain and high pass filter as well as an output level which allows for more control– anything from a growly distortion to extremely clean is possible. The case is robust and built to last. With an excellent leather handle and large front grips, it is easy to carry and makes a nice impression.